Once Upon a Twilight! : To All The Boys I've Loved Before - Netflix's Debut 8/17/18 - 1 WEEK AWAY! To All The Boys I've Loved Before - Netflix's Debut 8/17/18 - 1 WEEK AWAY! JUST 1 WEEK TO GO!!!! 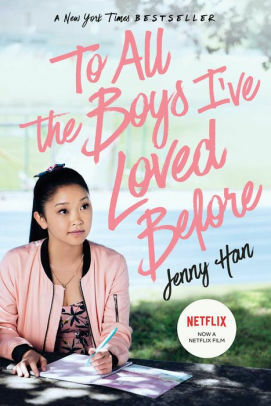 Jenny Han's best selling novel To All The Boys I've Loved Before premieres on Netflix 8/17! I'm super excited to see this adaptation of the novel. I read this book back in 2014 and absolutely loved it, gave it a 5 star rating, read my review HERE. If you are interested in reading before seeing it on Netflix. Then check out below the book(s) written by Author Jenny Han.